Here at Bearingboys, we stock a range of spherical plain bearings. 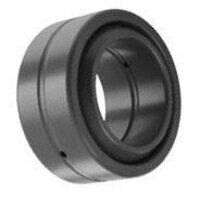 Spherical plain bearings are appropriate for bearing arrangements where alignment movements between the shaft and housing have to be accommodated, or where oscillating or recurrent tilting must be allowed at comparatively slow sliding speeds. A spherical plain bearing will typically accommodate a rotating shaft within the inner ring, allowing it to not only rotate, but also move at an angle. Spherical bearings may be found in car suspension systems, engines and many other forms of machinery. We stock multiple brands and you can filter our offering by inside and outside diameter, and by inner and outer width.